John Wesley founded the Arminian Magazine in 1778 (relatively late in his career) in direct response to growing tensions within evangelical revival over the question of predestination. Contrary to subsequent historical portrayal, the evangelical revival in England had diverse origins and did not originate solely with the Wesleys or George Whitefield. Furthermore, though by the end of the century Wesley’s Methodist movement was far and away the largest Evangelical group in England, it did not represent the only branch of the revival. Though through the late 1730’s and early 1740’s most Evangelical leaders like the Wesleys, Whitefield, Howell Harris in Wales, and Moravians like Benjamin Ingham worked together, cracks quickly began to surface, controversies were brewing on the one hand between the Wesleys and the Moravians over “stillness,” (the idea that human’s can do nothing for their own salvation but must remain “still” and wait for their own salvation) and on the other between Wesley and Whitefield’s followers over Calvinism. 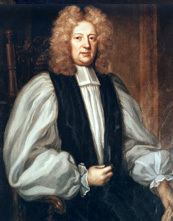 Eventually these groups would break into distinct branches of the revival, with Whitefield, the Countess of Huntingdon, and the Welsh Methodists forming various Calvinist Methodist groups, the Moravians their own societies, and John and Charles Wesley consolidating what we know as Methodism within the Church of England. Eventually the Wesleys and Whitefield came to an understanding that, though they disagreed on the subject of predestination, they would not preach openly against each other. However, by 1778 Whitefield was dead and the predestination controversy resurfaced at the 1776 General Conference, in which Wesley once again tried to root out remnants of Calvinism from the societies. According to Heitzenreiter, Wesley “suggested that the preachers read Fletcher’s (anti-Calvinist) writings carefully, preach universal redemption explicitly, and visit the people diligently, but by no means imitate the Calvinists themselves” (3482-3483). The Calvinists fought back on the pages of their periodicals, The Spiritual Magazine and The Gospel Magazine, often lampooning Wesley, satirizing his writings, and portraying his followers as enthusiasts (Heitzenreiter 3487). First, a defence of that grand Christian doctrine, ‘God willeth all men to be saved… Secondly, an extract from the Life of some holy man… Thirdly, accounts and letters containing the experience of pious persons, the greatest part of whom are still alive; and, Fourthly, verses explaining or confirming the capital doctrines we have in view (JWW 14:280). Thus the purpose of the magazine, for Wesley, was to defend “universal redemption” against predestination not only through polemic and theological argument, but also through the personal experiences of actual Methodist men and women. In true Enlightenment fashion, this real-life experience was proof positive for Wesley that the salvation experience was available to all. It is in this context, then, that Wesley solicited personal religious experience accounts for the Arminian Magazine. Religious accounts had always been important to Wesley as validations of his ministry. He himself kept a personal diary which he published “extracts” of in his published Journal. 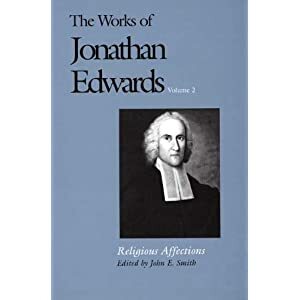 These extracts not only served as an apologia for Wesley’s ministry but also, according to Hindmarsh, worked to mimetically produce both spiritual experiences and spiritual experience accounts by lay people, thus creating a kind of “narrative community” (127-128). Furthermore, from the earliest days of the movement both Wesley brothers encouraged their lay preachers and members to record their spiritual experiences and send them as letters, some of which were later published in the Arminian Magazine. As Wesley writes in the preface to Volume IV of the magazine, “I have still by me a large number of compositions, both in verse and prose, the greatest part of which never yet saw the light; nor probably would have done, had they not been brought out of obscurity by the present publication” (JWW 14:287-288). Thus much of the material that Wesley ultimately published in the Arminian Magazine had been collected over the first forty years of the revival. 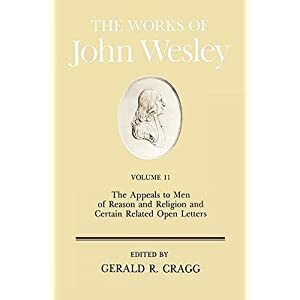 Ultimately, it was so important to Wesley that his preachers and members record these conversion experiences that he even offered to edit their accounts himself to alleviate their anxieties over writing. The fact that Wesley recognized that his lay members might have legitimate anxiety over their writing abilities also indicates the extent to which the lay membership that corresponded with Wesley and contributed to the Arminian Magazine was well outside of the educated British mainstream. This anxiety is an especially prevalent subtext of the accounts by women in the magazine, who are both unsure of their abilities as writers and their role within the Methodist public conversation. Nevertheless, these women overcome their anxieties because they see themselves as called to speak out and testify to the broader Methodist community about what God has done in their lives. Though numerous women had their religious experiences published in the Arminian Magazine, there are four exemplary women represented here: Rachel Bruff, Elizabeth Scaddan, Mrs. Planche, and M. Taylor. All four of these women had their narratives published prior to Wesley’s death, indicating that their narratives were most likely as a result of direct correspondence with Wesley. Broadly speaking, the religious experience accounts by women that appear on the pages of the Arminian Magazine fall into a relatively consistent seven part narrative pattern: 1. Consciousness of sin; 2. Acquaintance with Methodism and search for salvation; 3. Justification; 4. Opposition from within and without; 5. Search for “Christian Perfection”; 6. Achievement of perfection; and 7. Evidence of God’s grace in life and community. Of the four Arminian Magazine narratives under archived here, three incorporate all seven of these characteristics, with one (Elizabeth Scaddan’s) including all but the search for and achievement of Christian perfection. 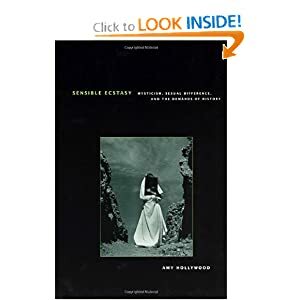 Through these communal practices they learned what was commonly expected in religious experience, and what was common became, in literary terms, conventional…. In expectation of conversion, evangelical discourse acted like a map, identifying the sort of terrain one might cross and the sort of destination one might arrive at if one chose to venture out, waiting upon God in the means of grace (157). Of course, as Hindmarsh also makes clear, just because these narratives were conventional, does not mean that they lack originality or insight. 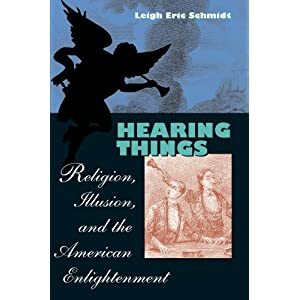 Instead, Methodist women appropriated readily available genres as a means to relating their own personal experience in a way that would be better understood by the broader Methodist community. It was precisely by using these conventions that Methodist women were able to form a unique sense of identity grounded in the broader religious culture. Thus, it is in this light that we must interpret the various manifestations of these generic conventions.